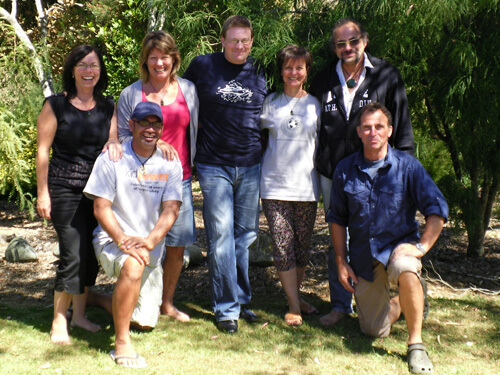 Kidpower New Zealand was established in 1993 by Martial Artists Cornelia Baumgartner and Martin Hartman. 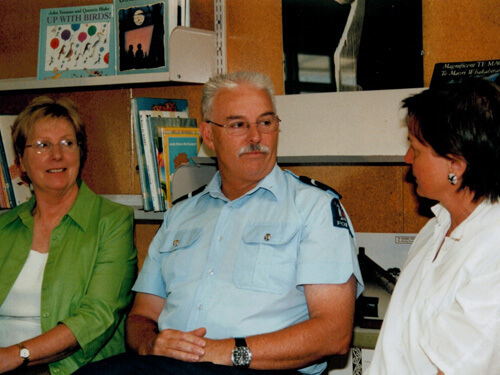 We have collaborated with the NZ Police and Ministry of Justice to developed specific programmes for young children, and young adults with Special Needs. 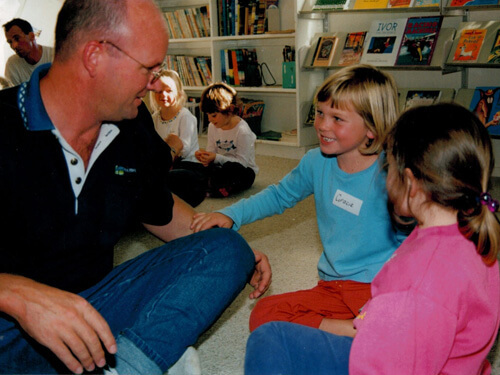 Our centre is fully qualified to provide all Kidpower Teenpower Fullpower services to children (ages 4-12), teenagers and adults of all abilities. 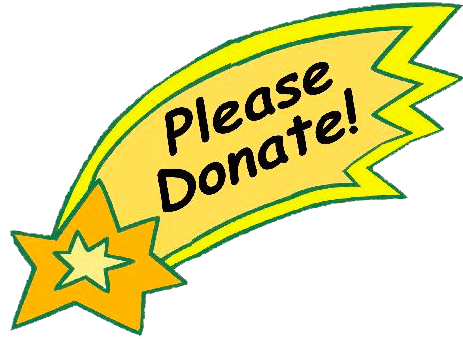 We feel privileged to be able to make a positive, real, lasting difference to thousands of people by offering Kidpower in New Zealand. It is deeply gratifying seeing individuals and communities successfully apply the solution-focussed Kidpower approach to all kinds of safety issues. It made me feel safer and stronger! It was serious, but also heaps of fun. 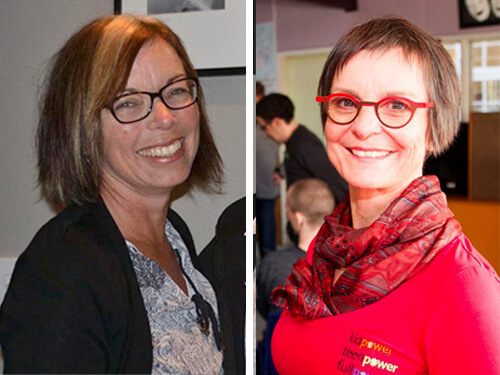 The partnership between Kidpower and our school is like ‘a match made in heaven’. The program continues to provide students, staff and parents with a common language and strategies around student empowerment through safety. Kidpower has a wonderful way of making kids aware of hidden dangers without escalating their fears. Fullpower changed my attitude! I came out of my shell instead of retreating. I saved myself due to the training…somebody I thought I knew had me cornered. I jumped on the bed on my back and put my feet up to protect myself and it worked … It came back without thinking about it. 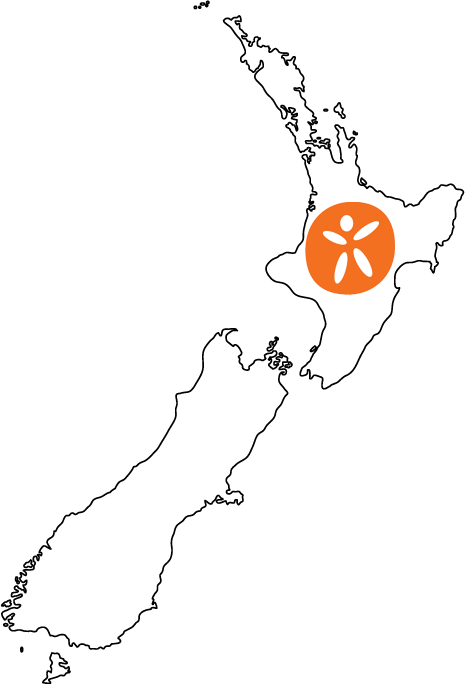 Over 60,000 served in New Zealand by Kidpower Teenpower Fullpower NZ! Directly taught over 5630 people of all ages and all walks of life. Of the adults we reached, 65% were female and 35% male, a 4% increase in male participants. Further developed Fullpower Healthy Relationships for younger age groups, and both deaf and blind users. Co-developedFaamalosi Aiga, a Pasifika safety programme with whole-community engagement, bi-lingual fun activities, songs, role-plays, visuals and other resources. We secured a contract with ACC (Accident Compensation Corporation) with the New Zealand Government, providing the secondary school “Mates & Dates” program. We are working with schools in the Tasman, Auckland and Canterbury regions providing teens with knowledge and skills around sexual and dating violence prevention including safe, healthy and respectful relationships. 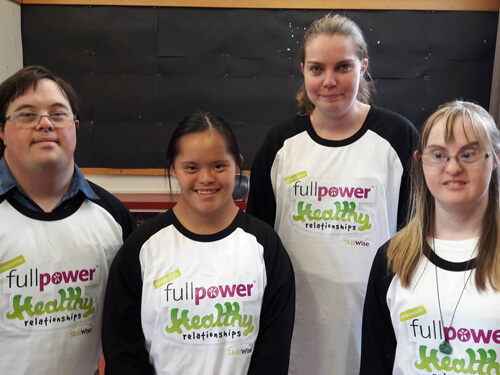 High school students with developmental disabilities from our Fullpower Healthy Relationships Programmme in New Zealand are serving as ambassadors to teach other students how to stay safe.